Whether you're looking to unclog pores, prevent acne, or heal existing breakouts, Mattify has the face mask for you. Select from clay masks, jelly masks, or create your own mask that targets specific skin issues. Why are Mattify Masks Different? 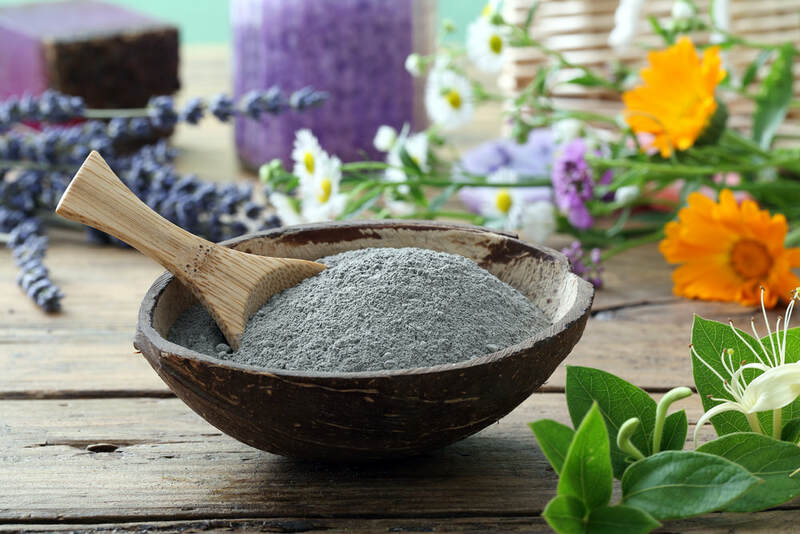 Many face masks on the market contain ineffective filler ingredients, with only a few beneficial ones thrown in here and there. Loaded with glycerin, alcohol, dyes, perfume, water, mica or even glitter – these masks may look pretty, but they do little to target skin issues. With Mattify, you aren’t buying chemical based fillers or fluffy aesthetics, you’re paying for genuinely effective ingredients to target your acne and oily skin problems. Mattify's Mask Line does not contain Parabens, Sulfates, Mineral Oil or Jojoba Oil - which can be extremely irritating to acne prone skin. Instead they are composed of natural fruit oils, essential plant oils, aloe vera, witch hazel, glacial water, and naturally occurring clays. In addition, Mattify Masks never contain synthetic dyes or perfumes, carmine, mica, tin oxide, aluminum, more than 1% glycerin, more than 5% water, or more than .05% alcohol. This means they won't over-dry your skin, plug pores, or irritate breakouts. 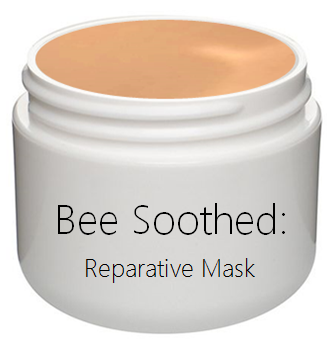 All masks except “BEE SOOTHED” (due to its Manuka Honey content) are vegan. Each 2oz Jar contains enough for 12-15 full-face applications. All masks are made in small batches, so they remain fresh and do not expire for 1 year after purchase. ​plus explore the options for creating your own mask! ​THE PROBLEM: Old skin cells are clogging pores. As dead skin cells accumulate they bind together to form a film over pores, which traps dirt, oil and bacteria inside the follicle. Pores become clogged and blocked from obtaining oxygen, so blackheads and acne breakouts begin to form. Skin blocked by dead cells often suffers from sluggish circulation, slowing the cell-turn-around process even further. This layering of old cells can cause skin to look older, thicker, and unevenly textured. THE SOLUTION: Mattify's Enzyme Mask! Lemon, Papaya, and Pineapple gently dissolve dead skin cells to prevent them from clogging pores, while Ginger goes to work improving circulation. The antioxidants in Green Tea and Licorice Extract combat inflammation and balance oil production, while Laurel Berry gets to work destroying acne bacteria. WHEN TO USE? 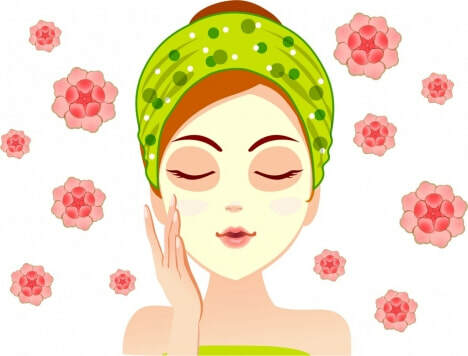 Before bed, when skin goes through its natural reparative process, and no makeup will be present on skin. HOW OFTEN TO USE? Can be used 1x per week. HOW TO USE? Apply a thin layer and allow to dry for 7-10 minutes. Gently rinse away with warm water. Afterwords, use our Exfoliator Scrub to remove dead skin cells and pore plugs that the mask has loosened. Skin will feel fresh and vibrant. When acne bacteria gathers in pores, inflammation begins - leading to redness and swelling on and around breakouts. This can cause an underlying infection in pores, which triggers the irritation. Puffy, irritated skin can benefit from the cooling ingredients of our Glacial Mask. Peppermint and Aloe Gel encourage puffiness to subside, while Passion Flower Extract calms inflammation. Marine Glacial Clay acts as a magnet - drawing impurities out of pores and encouraging improved oxygen circulation. Skin feels cool, calm and refreshed! WHEN TO USE? Any time of day - when skin feels puffy, depleted, or irritated. HOW OFTEN TO USE? Can be used up to 2x per week. HOW TO USE? ​Apply a thin layer and allow to dry for 7-10 minutes. Gently rinse away with warm water. Skin will feel cool, and refreshed, with puffiness decreased. Oily skin is often congested, allowing breakouts to develop deep inside the epidermis. When this occurs, breakouts can form a hardened lump that takes weeks to dissipate. Congested skin often suffers from several breakouts all at one time, until pores are thoroughly "purged". ​Our blend of activated charcoal plus 3 natural clays vacuum impurities from pores, to remove and prevent severe congestion. Kelp Powder detoxifies and exfoliates old cells, while Basil, Ravensara and Rosemary heal existing blemishes, remove toxins, and destroy acne bacteria. After rinsing away this mask, you will see that blackheads have surfaced for easier removal. How to know if you have congested skin? Large pores, excessive oiliness, acne and/or cystic acne, frequent heavy makeup application, participating in activities that cause sweating. Note for extremely congested skin types: Because this mask draws impurities to the surface, it may trigger whiteheads or minor breakouts that occur a few days after application. For that reason, it’s best to use this mask about 2 weeks before a special event. Don’t forget to use toner after rinsing away the mask, as this will prevent blemishes! Pores are most receptive after a mask has been removed with warm water. ​WHEN TO USE? Before bed, when skin goes through its natural reparative process, and no makeup will be present on skin. HOW TO USE? ​Apply a thick layer that completely covers pores. Allow to dry for 10-15 minutes. Rinse away in sections with warm water, while using circular motions. Afterwords, use our Exfoliator Scrub to remove pore plugs that the mask has loosened. Finish with Incredi-Gel Moisturizer or Stop-Zit Moisturizer, to re-hydrate skin while delivering oil and acne-control ingredients. Skin will feel ultra-clean and purified. Acne prone skin plagued by redness, oiliness, frequent breakouts, peeling, and overall irritation. Breakouts take a long time to heal - and as soon as one heals up, another appears. This also leads to risk of scarring and pitting. Bee Soothed is a reparative mask that calms acne prone skin, allowing it to absorb beneficial ingredients that quell inflammation. Manuka honey gently heals breakouts, and reduces the chance of scarring. Tea Tree and Cypress Oil combine to reduce oil production and speed up healing time for breakouts, while Chamomile Oil calms redness and irritation. These intensive healing properties, make Bee Soothed the perfect mask if you currently have active breakouts. You’ll often find Manuka Honey in hydation masks – the problem is, they often contain other ingredients that are too emollient for oily skin types. Mattify’s Bee Soothed Mask provides cooling moisture, plus anti-bacterial acne & oil control…without greasy pore-clogging additives. **Due to the incorporation of honey, this mask is not considered vegan. HOW OFTEN TO USE: Can be used up to 2x per week. HOW TO USE? Apply a thin layer and allow to dry for 7-10 minutes. Rinse with warm water. Skin will feel soft and smooth, with redness and pores minimized. Start by selecting a base, and add your favorite ingredients. When we compose the max, your selected Clay(s) will be mixed with With Hazel & Apple Seed Oil, then blended with your choice of ingredients below. Feel free to select 1 or more Clay Bases on the list to the right. * The Aloe Vera Gel base can NOT be mixed with clays, but it can be mixed with any ingredients below. These ingredients give your mask its power! Browse to troubleshoot the skin conditions you're most concerned about, and we will blend the selected items into your customized mask.